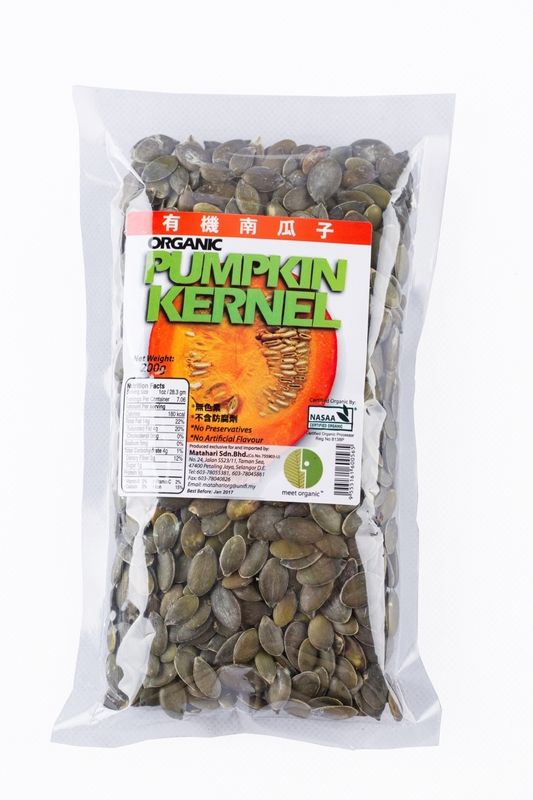 Pumpkin kernels have long been valued as a source of the mineral zinc, and the World Health Organization recommends their consumption as a good way of obtaining this nutrient. The oil content in pumpkin kernel helps to improve insulin regulation. The lignans have antifungal and antiviral properties. Contains Vitamin E, zinc, manganese and antioxidant phytonutrients. Good source of phosphorus, magnesium, copper, iron, zinc & manganese. Add pumpkin kernel to healthy sautéed vegetables. Sprinkle pumpkin kernel on top of mixed green salads. Grind pumpkin kernel with fresh garlic, parsley and cilantro leaves. Mix with olive oil and lemon juice for a tasty salad dressing. Add chopped pumpkin kernel to your favorite hot or cold cereal. Add pumpkin kernel to your oatmeal raisin cookie or granola recipe.